4 - August - 2006 - Music Page Update? Keep an eye out on the Music page, soon to be updated with two live recordings. Demi's renditions of "Thats My Goal" and "Hero". DVD's are for sale of the Company's performance at Jumpin in July, Newport. 10 - July - 2006 - Carnival Raffle Winner!! 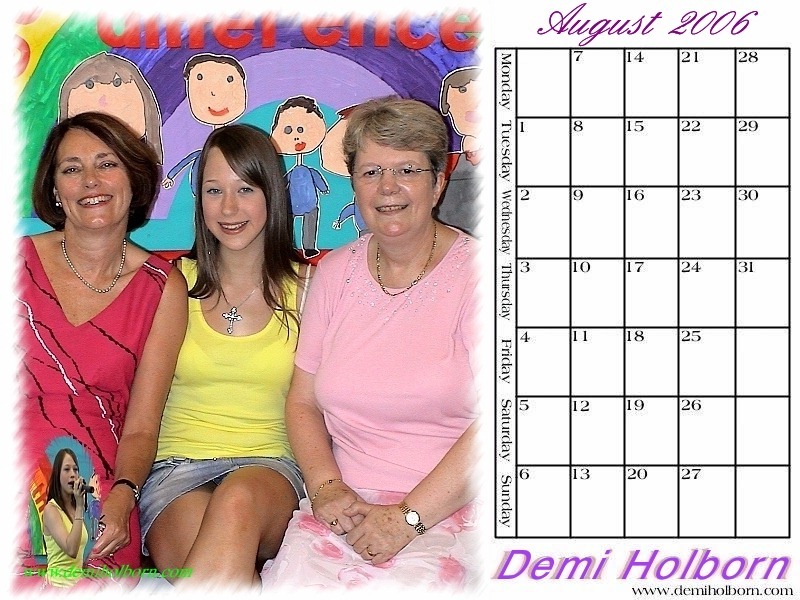 Congratulations goes to Miss Clarke of Newman Road, Pontypool who recieved a limited edition "Demi" clock, C.D. and signed photo for winning the raffle at Trevethin Carnival.